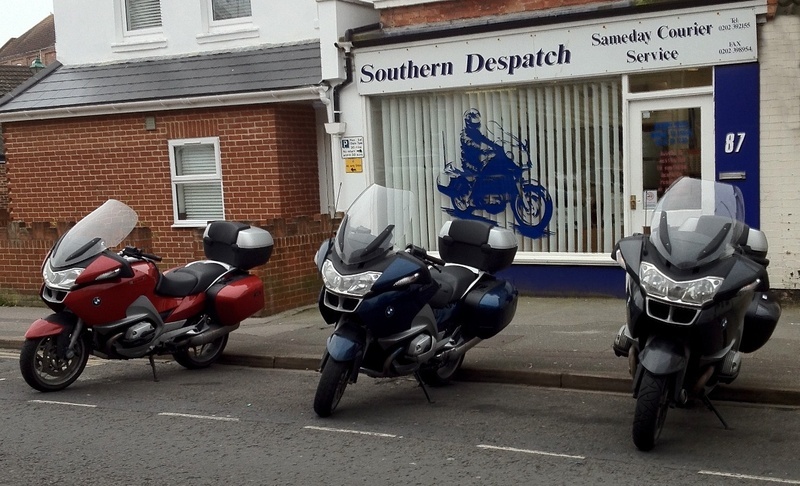 Southern Despatch was established in 1981 by the present owners, Steve and Tina Campbell. Steve's background is military, having served with the Royal Marines around the world and finally leaving the service at Royal Marines Poole. Tina has a background in admin and marketing for a large multi-national food group. Since 1981 we have seen the Company grow steadily and it's reputation for speed, efficiency and more importantly, reliability is the envy of our competitors. Now, 30 years on, we're still here, no mean feat in todays tough business world. The Courier Operations Room and our accounts office has been fully computerised since 1985, back when computers were in their infancy. Inward investment has allowed us to fund the growing needs of the company and clients alike. Investment in first class communications equipment has been imperative in the quest to maintain Southern Despatch as the South's leading same day courier company. Recent improvements in technology have allowed us to take full advantage of the latest satellite navigation systems.Our operations software comes from Courier Systems in Brighton and our accounting is by Exchequer Software in Bournemouth. All of our couriers are professionals, trained and monitored to ensure that the highest service standards are maintained. They all carry I.D, and mobile telephones to increase operational flexibility, safety, communications and reliability. Couriers use high-visiblity clothing at all times to ensure their personal safety. Within the company, courier safety is of the utmost importance and this principle is adopted when evaluating potential personnel. A culture of professionalism, safety and high quality service are maintained throughout the company to ensure that our clients receive the very best service possible. Located centrally, we're just 2 minutes from the main artery of Wessex Way. We bought and renovated the office premises in 1988 and they still serve us very well today, with considerable room for future expansion.